News and ideas about running a direct primary care medical office. Dr. Josh and Dr. Doug talk weekly about their direct primary care medical practice. 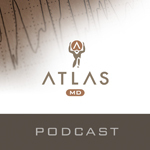 They give tips and hints about how to start your own DPC practice, as well as give advanced information about their upcoming application for managing DPC clinics http://atlas.md. Dr. Josh and Dr. Doug talk about the state of DPC, and the realities of running a DPC clinic.